OUT/LOUD has grown from a small gathering in a student’s backyard to the largest queer women’s music festival in the Northwest. OUT/LOUD is a much anticipated annual festival that is well known among the queer and allied communities of the Eugene/Portland area. 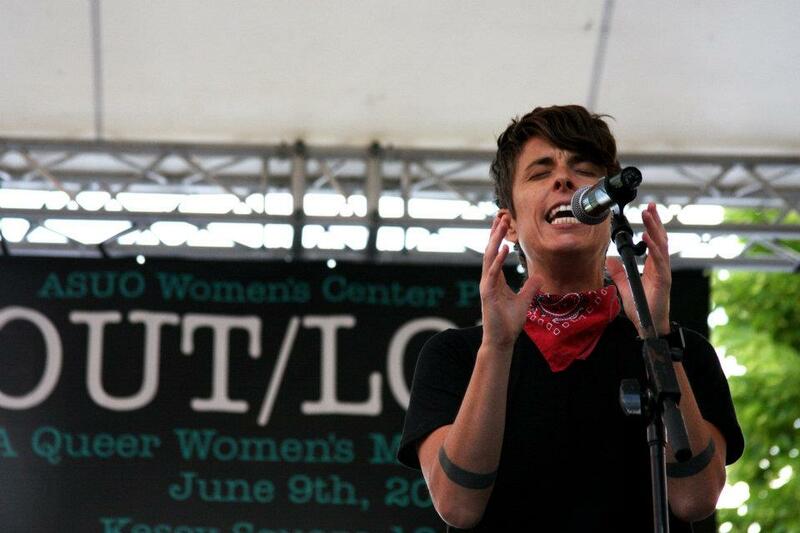 OUT/LOUD was originally named Lesbopalooza in 2000. In 2006 it was renamed to OUT/LOUD in order to be more inclusive and representative of community and performers. The goal of the concert is to create awareness of the LGBTQQI community. The event seeks to identify the University of Oregon as a place accepting of and promoting diversity, and to pave the way for Eugene as a hotspot for alternative and progressive music. Today these traditions continue through a celebratory, fun and inclusive environment. Each year the performers at OUT/LOUD are varied in their genres, but all share an LGBTQQI identity. Each year we outreach to performers of multiple genres, backgrounds and experiences in order to represent the audience’s interests, ages, and identities, as well as to promote the general message of acceptance and diversity.